The Flying Engineer brings to you a comparison between N1 and EPR based on the confusion cockpit crews have on the significance, and differences between EPR and N1. The thrust that the engine of a jetliner is delivering is expressed to the flight crew either as N1, or EPR. Crews use these figures every day, yet confusion exists in the minds of most as to what these parameters really refer to. Not helping one bit are the flight crew operating manuals which don’t describe these parameters in sufficient detail. What is displayed to the pilot is based on the engines that are mounted to the specific aircraft. An Airbus A330, for instance, can be fitted with the GE CF6-80E1, Pratt and Whitney PW4000, or the Rolls-Royce Trent 700 engines. The A330s with the PW4000 and the Trent 700s display the engine’s EPR, N1, EGT, and N2 (on the PW4000) or N3 (on the Trent 700). Those fitted with the GE engines display only the N1, EGT and N2. The most effective way to understand these engine parameters that are displayed in the cockpit is to first observe and understand the jet engine itself. Let’s take the P&W4168 for this example. The Pratt and Whitney 4168 is one of three engine options that power the twin engine Airbus A330s. 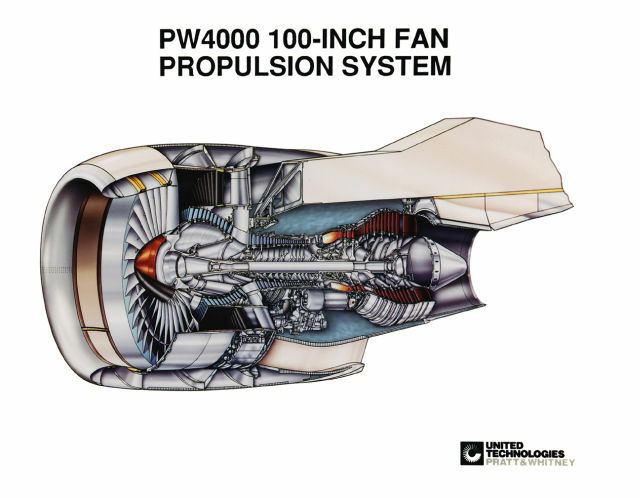 This engine is part of the PW4000 family, and belongs to the -100 sub-family. The “-100” is due to the fan tip diameter being 100 inches. This particular engine delivers 68,000lbs of thrust at sea level. Hence the engine model is 4168. The PW 4168 is a twin spool engine. In essence, there are two coaxial shafts, running independent of each other. They are not mechanically coupled, but rather aerodynamically coupled. The inner shaft drives the fan that is visible at the front of the engine. This shaft also drives a few compressor turbines aft of the fan, and make up the low pressure compressor section. The outer shaft drives the high pressure compressors, which further compress the air from the low pressure compressors. This compressed air is then mixed with a fine spray of aircraft turbine fuel. The mixture of fuel and hot compressed air ignites, which forces hot, expanding gases to rush out through the rear of the engine. To convert some of this energy in the hot gases to rotational mechanical energy, turbines at the rear of the engine are present, attached to the inner and outer coaxial shafts. These turbines are responsible for driving the low pressure and high pressure compressor turbines, which keeps the engine cycle alive. For the PW 4168, the maximum rated takeoff thrust, at sea level with an ambient of 30°C is 68,000 lbs. Of the volume of air sucked by the huge fan at the front, 17% of the air is forced into the Low Pressure (LP) compressor. 83% of the air simply exits the engine without entering the compressor, and this is the bypass air. It is this 83% of air that is responsible for most of the thrust developed by the engine. The remaining air that entered the compressor only helps keep the engine cycle running. At this take off thrust, the inner coaxial shaft that drives the fan, and the Low Pressure compressors is spinning at 3600 revolutions per minute (rpm). The outer coaxial shaft which drives the high pressure compressors is running at 10,450 rpm. With these values, we can get down to explaining the figures that a pilot sees in his cockpit engine displays. 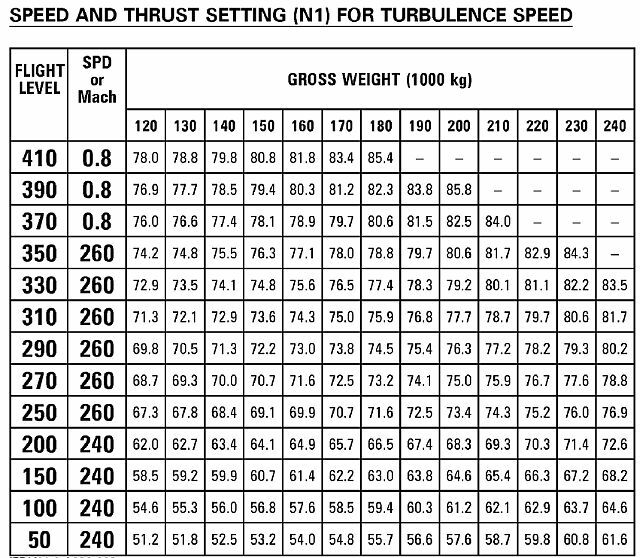 Older “pure” single spool jet engines, and low bypass jet engines described engine pressure ratio, or EPR, as the ratio of pt3 over pt1 (Total pressure at point 3 over total pressure at point 1: see above image for clarity). The same definition holds good even today. On the Airbus A330 displays in the cockpit, the EPR display goes only till a numbered 1.8. The maximum go-around EPR on the thrust ratings charts is 1.660, with the PW4148. Below the EPR is the Exhaust Gas Temperature, or the EGT, which is the temperature of the air that’s exiting the LP turbine. Below the EGT, is displayed the N1, or the fan speed, or the speed of the inner coaxial shaft. As per the manufacturer, the previously mentioned fan speed of 3600rpm is treated as 101% N1. On the sides of the semicircular N1 gauges are the N2 readings of the corresponding engine. The N2 is the speed of the outer coaxial shaft, or the shaft that drives the high pressure compressor. As per the manufacturer, the previously mentioned 10,450rpm is treated as 103% N2. Rolls Royce and Pratt&Whitney engines use EPR as the thrust reference parameter. GE uses the N1 as the thrust reference parameter. With the chosen thrust reference parameter, thrust is controlled to target the thrust at takeoff, and climbs. Cruise is a speed based reference, while descent is usually at idle thrust. The advantage with EPR is that it is a pressure ratio, and is indicative of engine thrust. Simple physics will tell you how: Force (Thrust) = Pressure multiplied by the Area of application. According to Boeing, EPR is more directly related to, and a much better indicator of thrust than the compressor speeds (N1 and N2), and therefore is more advantageous in terms of accuracy to utilize EPR to control engine operation. The flip side of EPR is that in multi spool engines (such as the twin “spool” (shaft) PW4168) , there is the issue of stability in control of thrust. Because changes in thrust setting take time to respond, and the filtering of noise from sensors delays response time, there is a negative impact on stability. Besides, EPR is dependent on the prevailing local atmospheric conditions (as pressure is affected by temperature and aircraft altitude). With a parameter such as fan speed, or N1, the response is much better and the measurement of speed a lot more accurate than the measurement of pressure difference, which allows for excellent stability in control. N1 is simply the fan rotational speed, which is independent of the prevailing local atmospheric conditions. EPR is the measure of a quantity that relates to the performance of the engine. N1 relates to a parameter which is responsible for the performance of the engine. As such, N1 does not take into account the other variables which may affect thrust, such as engine performance degradation after several years. If, for example, 50,000lbs of thrust demanded a hypothetical EPR of 1.27, no matter what the status of the engine, an EPR of 1.27 in the same atmospheric conditions is guaranteed to deliver the same amount of thrust. However, if this thrust required around 90%N1, and the engine gradually degraded over time (time period being many months or years), the N1 required to deliver the same thrust in the same environmental conditions will now be higher. In this way, N1 is not a reliable parameter for thrust setting over very long periods of time, while it is the presence of an N1 indication that enables crew to recognize performance degradation. Consider an engine suffering a bird strike. Blades will get damaged, due to which the pressures developed across the engine will suffer. If at that point, the N1 and N2 are held constant, the EPR may fall below the otherwise expected EPR. This way, the crew can ascertain that the engine has been damaged. By the extent of deviation of EPR from the expected EPR at the given speeds of N1 and N2, the extent of damage may be gauged. Under such a condition, advancing the thrust/throttle levers till the EPR value is close to the desired values will ensure almost the same engine thrust, albeit at higher engine rotational speeds. 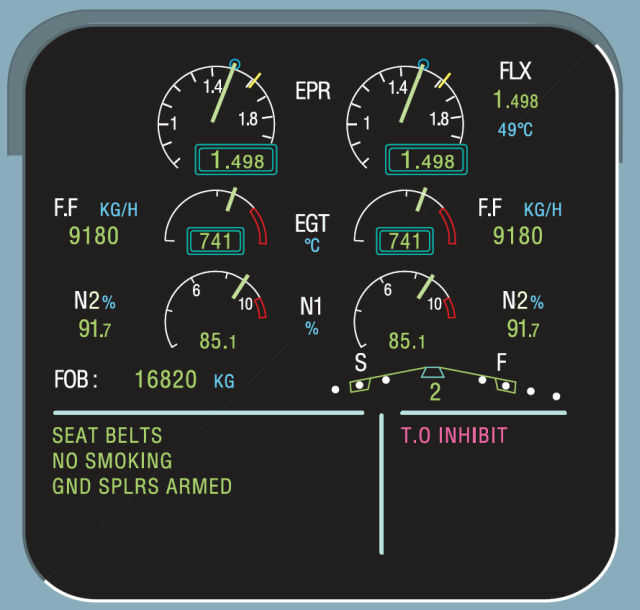 A display with N values only will not be able to convey as much information to the pilot. 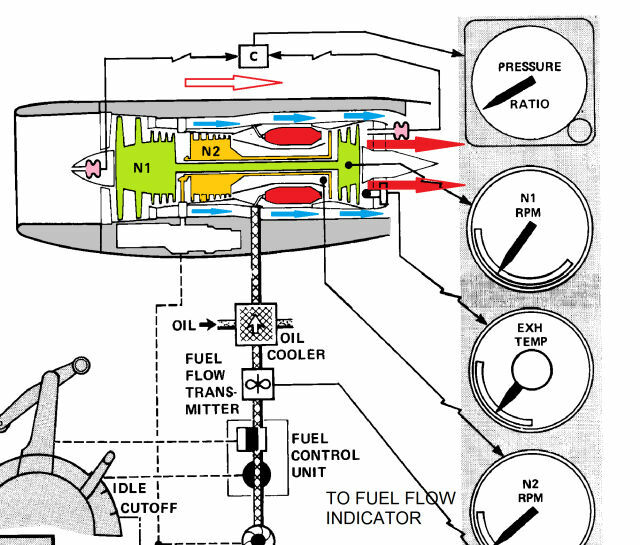 —A clear diagram from a Boeing 727 manual (colored and edited for clarity) showing th EPR pressure sensors in pink. Blue arrows are the bypass air, while red indicate the hot exhaust from the engine core. But EPR relies on two pitot probes: one that is ahead of the fan, and the other that is aft of the fan. The pressure sensed by these two pitot probes results in the indicated EPR. However, they are faced with the same operational issues as other pitot probes: they are susceptible to foreign objects, such as insects and ice, clogging the opening. This can lead to faulty EPR readings, which are not indicative of the actual thrust generated by the engine. The crash of Air Florida Flight 90 into the Potomac river is a result of the EPR probes having been clogged due to improper de-icing practices. The Boeing 737-200 took off with thrust lesser than what was required in the icing conditions (~1.7 EPR), despite the faulty EPR readings showing the desired value of 2.04 EPR. When the crew realized that they were low on thrust, the throttle levers were advanced to full thrust position a little too late to salvage the situation, taking away the lives of 70 persons. The N1, N2, and N3 (where applicable) sensors are not susceptible to failures like the EPR probes. This makes the N readings very reliable. The N readings do not fluctuate as a result of atmospheric variations, unlike the EPR. For this reason, when penetrating a turbulent region in flight, N1 values are used as reference, even if EPR readings are available. The A330 with PW4168 has two modes of power setting, EPR mode and N1 mode. In normal mode, engine thrust setting is made through control of the EPR. The required EPR is set by controlling the fuel flow to the engines. The command EPR is computed by processing the pilot’s input (thrust lever angle), altitude, mach number, ambient temperature, and the status of the engine bleeds. In case the pressure sensors used to compute EPR fail, the engine control reverts to “rated N1 mode”. 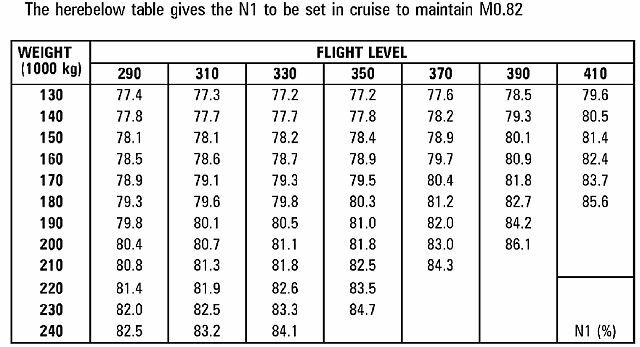 In this mode, the N1 power setting is determined as a function of the thrust lever angle, altitude, and engine inlet total temperature. In the event that the engine inlet total air temperature probe fails, or the ambient pressure sensors fail, the engine reverts to the “unrated N1” mode, where the power setting is determined solely as a function of the thrust lever angle, limited to the maximum N1, or the N1 that results in an engine overheat (if the engine inlet total air temperature probe is available). —N1 settings on the A330 powered by PW4168s, in lieu of EPR settings in case of an unavailability of reliable EPR readings. N readings, if not the primary readings in certain engine-aircraft combinations, are definitely a lot more reliable due to their independence from other measured parameters. The EPR on the other hand needs carefully positioned probes, which must provide both pressure and temperature data to a computer (without temperature data, thrust is not controlled in the EPR mode but the N1 “unrated” mode). This EPR control depends upon two probes providing minimum 4 data, in contrast to the N sensor which needs only rotational speed data from a single sensor. In case of an inability to control thrust using EPR, the thrust control system always falls back upon a more reliable N1. In fact, when setting thrust, crews always cross check the developed EPR with the engine N1. In effect, this increases crew workload. This is exactly what I was looking for- a great article. Very well explained, good examples and arguments. Thanks for taking the time to write and publish! That cleared it all up. Perfect. Thanks. Excellent! Great argumentation sustained by well used exemples. Until reading this I never realized how les fail-safe EPR could be and how more close to thrust indication it was. Just about when I get ready to get my A320 Rating ! well done and thank you for the time and effor you are putting in. I’m going through A-320 training now. This particular version has EPR but I know other A-320’s have N1. No one at the training center could answer why for the differences. You’re article was excellent for helping me to understand both options. Thank you very much! Hello! I’m student of aviation university. I’m doing diploma and my diploma contains some words about engine failure (on final). Can you send me some pictures or files or links how engine system works with FMS, etc(functional scheme). Big thanks! Thanks for the article. But I still haven’t understood the significance of EPR. All I can make out is that it is a ratio and that too not of max thrust vs available thrust. It does not indicate how much thrust is actually being produced. So why use it? Perhaps you can answer a question for me. When the Engine Fire switch is selected on PW4000 the EPR turns amber which would normally revert the engine to N1 mode. The Airbus instructors manual talks about this. My question is: when selecting the engine fire switch (which cuts power to the FADEC) does the reversion to N1 mode on this now dead engine cause the auto thrust system to disengage. I teach on 2 different A330 simulators. They both react differently. On the newer one the auto thrust never disengages. Good article! Flew EPR’s on the DC-9 in the late Seventies. After that only GE engines on different aircraft types which were N1 driven. At the moment flying the RR powered Dreamliner. One question I have: what happens to the net-delivered thrust by the engines with Autothrottle in THR REF mode (fixed TLA) during Take Off when one enters a Temperature inversion. (With N1 driven engines the delivered thrust would decrease). Great article. Your effort is well appreciated. Keep it up! This is a great article, helped me a lot! Hi, this is indeed a very good article. I took the opportunity to translate it to Portuguese and I would like to ask you for permission to make this translation public in my aviation blog (http://voodeteste.blogspot.com.br/). Your article and your page are already linked in my blog, but I’m aware not everyone reads English in Brazil, specially young enthusiasts or GA pilots not yet working with complex airplanes, and this is the reason why I thought of translating your work. I will, of course, make it clear that the original work is yours and that eventual mistakes and translation errors are my responsability. Please let me know if I can publish the translation and, once again, congratulations on the great article! That’s the missing information, the one out of the FCOM’s, from cover to cover. Great read, Question from a test I took that I’m still unsure of: EPR on take-off roll shows normal range, but N1 shows 80% and fuel flow shows low…what is the issue? Blocked PT1 probe. That is similar to the Potomac crash mentioned by the Author above. The crew advanced thrust levers to takeoff EPR and did not cross check N1-which was much lower than the corresponding takeoff N1. Action, REJECT! This is cool. Finaly I understand thees! Very well done, thanks. Regards. Fuel flow is also a great measure of energy on a normally functioning aircraft. Most pilots know what there cruise fuel flow should be since we constantly use it for estimating how much fuel we’ll land with (not all think about setting that fuel flow for power). Memorized N1 or EPR settings for various configurations and weights may get fuzzy especially if you often use autothrust/throttles. On most large aircraft I’ve flown the same fuel flow that worked up high altitude and fast at cruise is often about the same as what you need to maintain approach speed when low, slow and configured to land. Thanks for publishing great articles and A320/737 information. what Percentage rise the rise of Egt per change in N1 oat being isa+20 c inV 2522 engine, I know it has EPR but for analysis Iwish to know .please. Quite a well developed article that helps clarify this technicality. However, one aspect that is quite important but less discussed is the $$$ aspect. As the article correctly indicates, EPR controlled engines would produce the required thrust with more precision than the N1 controlled ones. Consequently for a given thrust, an EPR controlled engine can be slightly smaller/lighter than an N1 controlled engine. This drives an EPR engine not only to have less engine $$ but also (due to less engine weight) less $$$ fuel consumption. It must also be added that most modern engines (even GE) use “internal EPR” calculations and even if they may display only N1, this is a highly “Corrected N1”. It already started back with the CFM56-3C1 that used a small electronic box (PMC) to correct the N1 signal for TAT and ALT. As the trend of continuous improvement pushes forward developments in cockpit consolidation, it may happen that EPR indication may disappear soon. This however does not mean that the various Engine Pressure Ratios (CPR, TER) are not precisely measured inside of the sophisticated Engine FADEC routines.